Children learn best when their lessons are fun, multisensory, and hands-on. It is so important to give them the opportunity to see, feel, and play with math concepts. Here’s a collection of winter math activities that work on fundamental mathematical concepts in sensory, playful ways. 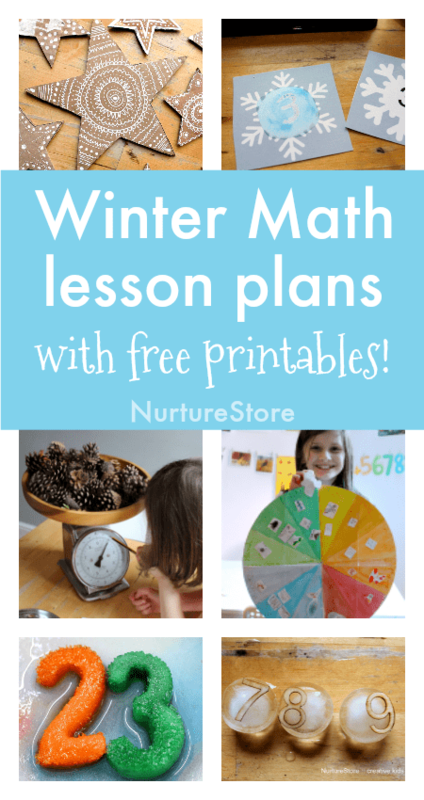 Your children will love these winter math lesson plans! Play a Christmas tree matching game. Matching games encourage children to look carefully and spot similarities and differences, fundamental mathematical skills. 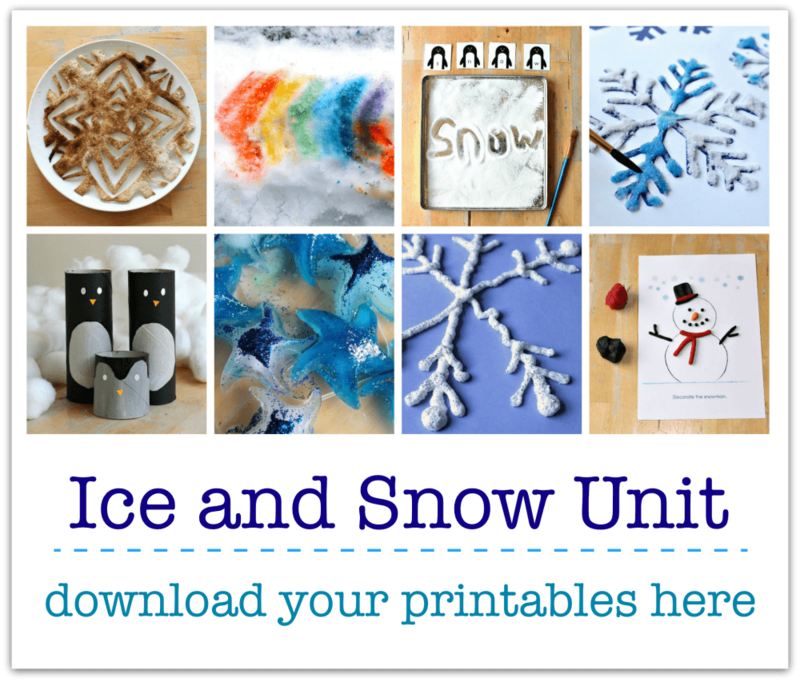 Add sensory play as you work on number recognition and counting with this frozen math game. Use this mitten math idea to count and match numbers. Use these free printable hot chocolate playdough mats to count from one to twenty. Work on number recognition, counting, one-to-one correspondence, and number order while you have fun with these icy numbers. Explore angles, radial symmetry, and repeating patterns as you create this beautiful star craft. Make a nature calendar to learn about time as you track the months and seasons. Use this free snowflake number printable for math games. Bake this easy cookie recipe and work on practical math skills of measuring, weighing, and timing. Or make bread as a fun shapes lesson. Use these free printable snowflake templates to play with shapes and symmetry. Set up a pine cone math station to explore weight, length, diameter, and estimation.